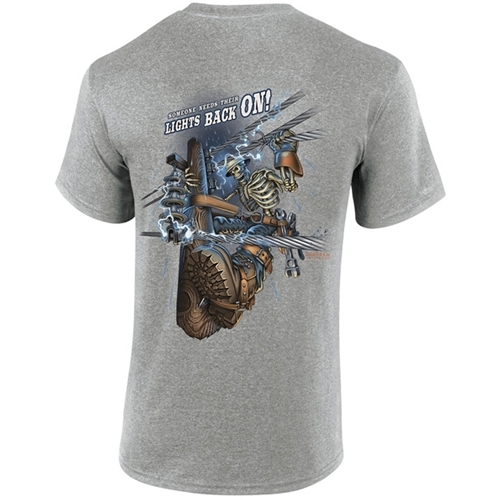 Our popular "Lights Back On" design on a short sleeve gray shirt. "Lights Back On!" Gray Short Sleeve Tee CLOSEOUT has a rating of 5 stars based on 2 reviews.